Over the next few Sunday's, we will be hearing from Jesus' Farewell Discourse to his disciples, just after the last supper in John's Gospel (Chapters 14-17). It is a heartfelt final message and teaching before Jesus returns to the Father. In this Sunday's Gospel reading (John 14:1-12), Jesus begins to prepare his disciples for his leaving them and returning to the Father. They are slow to learn but he is patient. He is the way to the Father. Jesus said to his disciples: "Do not let your hearts be troubled. You have faith in God; have faith also in me. In my Father's house there are many dwelling places. If there were not, would I have told you that I am going to prepare a place for you? And if I go and prepare a place for you, I will come back again and take you to myself, so that where I am you also may be. Where I am going you know the way." Thomas said to him, "Master, we do not know where you are going; how can we know the way?" Jesus said to him, I am the way and the truth and the life. No one comes to the Father except through me. If you know me, then you will also know my Father. From now on you do know him and have seen him." Philip said to him, "Master, show us the Father, and that will be enough for us." Jesus said to him, "Have I been with you for so long a time and you still do not know me, Philip? Whoever has seen me has seen the Father. How can you say, 'Show us the Father'? Do you not believe that I am in the Father and the Father is in me? The words that I speak to you I do not speak on my own. The Father who dwells in me is doing his works. Believe me that I am in the Father and the Father is in me, or else, believe because of the works themselves. Amen, amen, I say to you, whoever believes in me will do the works that I do, and will do greater ones than these, because I am going to the Father." In our First Reading (Acts of the Apostles 6:1-7), we hear about the growing pains of the early Church, as seven "helpers" were chosen to minister to the needs of the Helenists (Greek speaking Jews). 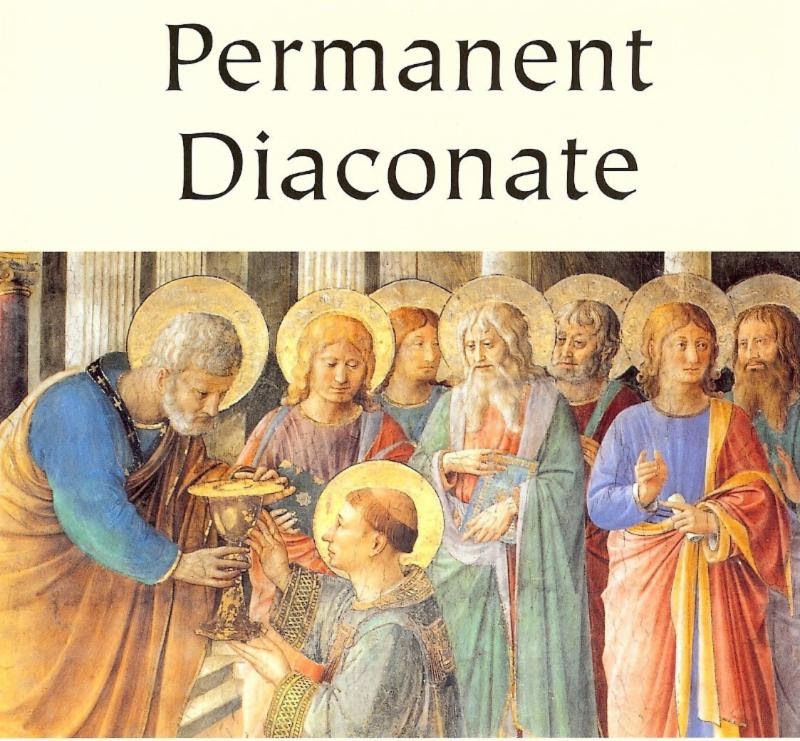 Thus, the diaconate was born and servants have been ordained to the mission of ministering to the needs of the people ever since. As the number of disciples continued to grow, the Hellenists complained against the Hebrews because their widows were being neglected in the daily distribution. So the Twelve called together the community of the disciples and said, "It is not right for us to neglect the word of God to serve at table. Brothers, select from among you seven reputable men, filled with the Spirit and wisdom, whom we shall appoint to this task, whereas we shall devote ourselves to prayer and to the ministry of the word." The proposal was acceptable to the whole community, so they chose Stephen, a man filled with faith and the Holy Spirit, also Philip, Prochorus, Nicanor, Timon, Parmenas, and Nicholas of Antioch, a convert to Judaism. They presented these men to the apostles who prayed and laid hands on them. The word of God continued to spread, and the number of the disciples in Jerusalem increased greatly; even a large group of priests were becoming obedient to the faith. In our Epistle reading (1 Peter 2:4-9), St. Peter exhorts his listeners to remain steadfast in following Jesus, the rock of their faith. It was at a time when early Christians were enduring an environment hostile to their way of life, not unlike our own times. Beloved: Come to him, a living stone, rejected by human beings but chosen and precious in the sight of God, and, like living stones, let yourselves be built into a spiritual house to be a holy priesthood to offer spiritual sacrifices acceptable to God through Jesus Christ. For it says in Scripture: Behold, I am laying a stone in Zion, a cornerstone, chosen and precious, and whoever believes in it shall not be put to shame. Therefore, its value is for you who have faith, but for those without faith: The stone that the builders rejected has become the cornerstone, and A stone that will make people stumble, and a rock that will make them fall. They stumble by disobeying the word, as is their destiny. You are "a chosen race, a royal priesthood, a holy nation, a people of his own, so that you may announce the praises" of him who called you out of darkness into his wonderful light. Our readings today bolster the cornerstone of our faith - that our way to the Father, the truth the Father reveals to us and the life we hope for in the resurrection are all found in Jesus, only in Jesus.